Editions Henry LEMOINE is located in the 4th district of Paris, near "Place de la Bastille". 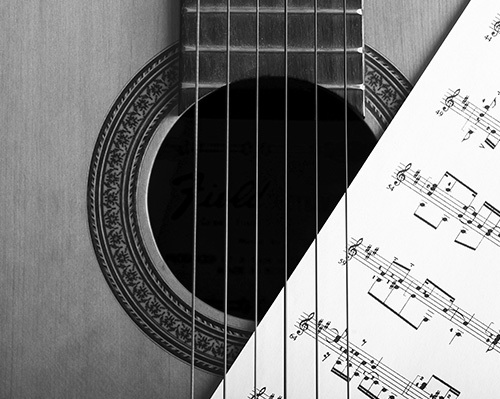 They have been carrying on their activity in publishing musical materials for more than 230 years in a town where several composers of genius were born, such as Marc-Antoine CHARPENTIER, Camille SAINT-SAËNS or even Georges BIZET. In 1990, their distribution subsidiary, Hexamusic, has been established in a warehouse, 50 km far from Paris, to benefit from a storage of almost 10.000 m³. When Max Lemoine retired in 1987, it was the turn of his son, Pierre, to carry on the tradition. Over 200 years have gone by since that day in 1772 .... 200 years during which the works of famous composers have been published by Editions Henry Lemoine : Chopin, Berlioz, Donizetti, Halevy, Franck, Gounod, Messiaen and Piazzolla. 200 years of great success which have established the reputation of the Lemoine company : Solfege des Solfeges, Les Classiques favoris (favourite classics), Chant Classique, Le Pantheon des pianistes, Danhauser's Theory, etc. 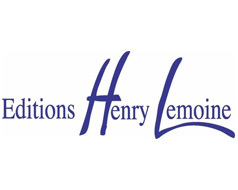 Editions Henry Lemoine joined the new media adventure by developping for their best-sellers multimedia applications (CD audio and Cd-rom). With this strong foundation in educational and instrumental fields, Editions Henry Lemoine has also a significant place in the field of music for concerts, where its action for contemporary music has continuously spread since 1980.  Besides composers as prestigious and worldwide recognized as Hugues Dufourt, Tristan Murail, Michaël Lévinas, Edith Canat de Chizy, Ichiro Nodaïra, Jean-Marc Singier, Philippe Hurel, Michael Jarrell and Gérard Pesson, Editions Henry Lemoine back up young composers such as Brice Pauset, Régis Campo or Bruno Mantovani. To improve even further the promotion of its composers, Editions Henry Lemoine starts in 2000 its own record company, AEon. By widening its activities, Editions Henry Lemoine shows that, more than ever, it listens at today's world with an open mind in order to put its long-lasting print in tomorrow's music inheritage. In 1772, Antoine-Marcel Lemoine, composer, violinist and music teacher, founded a musical publishing house at 556, rue de l'Echelle-Honoré in Paris. From the very beginning of the business, called "A l'Espérance" (To Hope), success smiled on the young publisher, thanks to his contacts within the musical world. In 1810, in particular, he published the Messe Solennelle (Solemn Mass) with orchestra, composed by Méhul for the coronation of Napoléon I. It was his youngest son, Jean-Henry-Antoine Lemoine, known as Henry Lemoine, who took over from him in 1816. Henry Lemoine was one of the most famous piano teachers in Paris, since he was the first in France to organise group music lessons with the aim of encouraging his pupils. Under his management, the publishing house, already frequented by well-known artists of the time, became one of the most important in the capital. Henry Lemoine published the works of Chopin, and in 1844 added the famous Traite d'Orchestration (Orchestration Treatise) by Berlioz to his catalogue. Henry Lemoine also wrote , for his pupils, a piano method and studies, still in use today. He then published, in co-operation with Carulli, a music primer which would form the basis for the famous Solfege des Solfeges, of which over 10 million copies have now been printed. In 1850, 3 years before his death, Henry Lemoine, who had gone blind, went into partnership with his son Achille, pianist and also a piano teacher. Spurred on by the latter, 17 rue Jean-Baptiste Pigalle in Paris saw the installation of a printing workshop, where the new processes of lithography were applied to music, a binding workshop and a musical engraving workshop. In 1858, Achille Lemoine revolutionised musical publishing by offering the public, at very low prices, clear, accurate publications, forming the collection "Le Pantheon des pianistes". He continued the teaching tradition established by his predecessors by publishing Danhauser's famous Theorie de la Musique (Theory of Music), another great success. From 1885 onwards, Achille Lemoine brought his four sons into the business as associates, including Henry-Felicien and Leon Lemoine who, on the death of Achille Lemoine in 1895, directed the Lemoine company, now renamed : Henry Lemoine & Company. In 1920, Henry-Felicien went into partnership with his nephew, Henry-Jean, who had joined the Lemoine company in 1907. Left alone at the head of the company upon the death of Henry-Felicien in 1924, Henry-Jean succeeded in giving it new drive, thanks to extensive world-wide distribution of editions in foreign languages : English, Spanish, Portuguese, Greek etc..., not counting counterfeit versions in Chinese, Russian and Arabic. In 1946 Henry-Jean shared directorship of the Lemoine company with his cousin, Andre Lemoine. In 1956 they were joined by the son of Henry-Jean, Max Lemoine. This period saw the renewal of the teaching catalogue, a renewal which was associated with the rise of music academies and schools in France. This included the publication of flute methods by P.Y. Artaud, saxophone methods by J.M. Londeix, the works of Noel-Gallon and F. Fontaine, later to be published in foreign languages.